Signed l.l., [incised plate] "FB" and l.r. 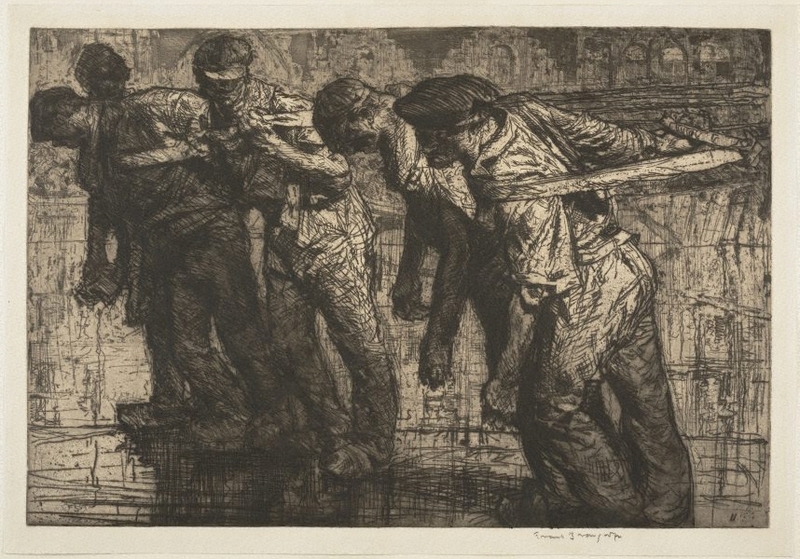 sheet, pencil "Frank Brangwyn". Not dated.